In Michigan, patience is key as we wait for signs that winter is finally ending and spring has arrived. And yes, the calendar tells us that the First Day of Spring was March 20th! There have been a few spring-like days in the past month (I even heard the tree frogs chirping a few nights ago) but we are still waiting anxiously for the leaves to turn green, bulb plants to pop up and flowering branches to line the roadsides. On the bright side, definite signs of spring are ready and available when you order a floral arrangement from the studio! Weekly deliveries of tulips, hyacinths, irises, hydrangeas along with fragrant fillers and flowering branches have been arriving since February. 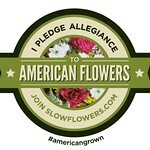 If you need a quick fix, just give us a call or check out our online store at www.artinbloomstudio.com .